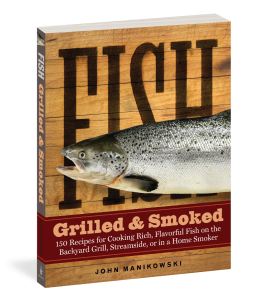 Master fisherman and chef John Manikowski offers seafood lovers 150 succulent recipes for cooking just about anything that swims, including freshwater fish, ocean fish, and shellfish, as well as fish-friendly condiments, sauces, side dishes, and desserts. He even suggests beers and wines that pair well with his dishes. In addition to recipes, you’ll find step-by-step instructions for rigging a smoker streamside, operating a smoker at home, and building a full-size backyard smokehouse.